One of the best things about a birthday is getting all those birthday cards in the mail. Imagine the surprise and delight the birthday celebrant will feel when getting birthday cards from practically everyone they know! 1. Gather together the names and addresses of however many people you’d like to ask to send cards to the birthday celebrant. (It would be great to get 80 different cards, but that’s just a suggestion). Think of family, friends, co-workers, neighbors, and former classmates. Susan Johannson is turning 80 on Dec. 15, and we need your help to celebrate! We’ve mailed out postcards to all of Susan’s favorite people. Please write your birthday wishes or favorite memory of Susan on the enclosed postcard, and mail it back to arrive as close to Dec. 15 as possible. We’ve already pre-addressed and stamped the postcard for you. We know that Susan will be thrilled to get her mail and see so many birthday cards from her family and friends. Thanks in advance for your help in making Susan’s 80th birthday extra-special! 3. 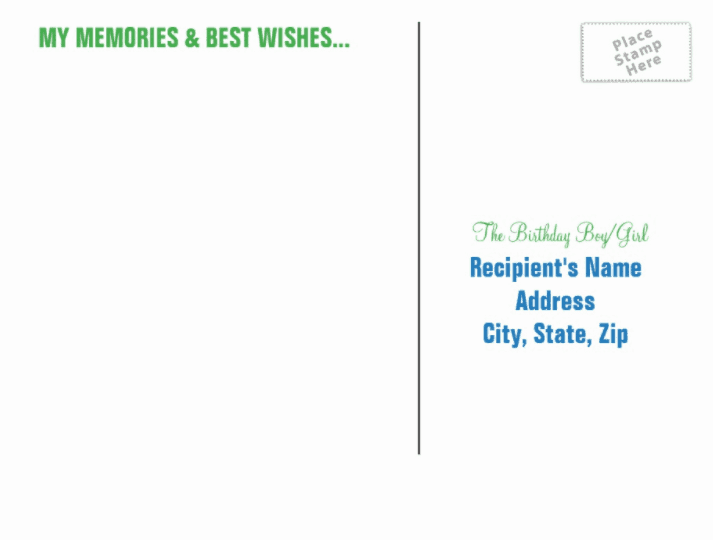 Print a postcard to be mailed to the birthday celebrant. You can print your own at home, or order something like the one pictured above at Zazzle. Be sure to pre-address the postcard! 4. Add a stamp to the pre-addressed postcard. 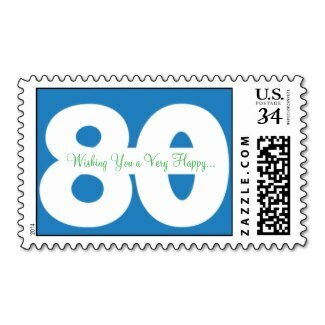 You can use ordinary postage, or order a special 80th birthday stamp at Zazzle. 5. Place one of the pre-addressed postcards and the instruction letter into an envelope. Send it off to family and friends who you are requesting the birthday wishes from. That’s all there is to it! Enjoy the smiles from the birthday man or woman when the cards arrive! It’s only slightly more complicated than sending off Christmas cards, but it’ll be well worth your effort when you see how happy it makes the birthday guest of honor to get all these memories and wishes! 80th Birthday Party Ideas - Great party themes, decorations, games and more for a fabulous celebration. 80th Birthday Gifts for Mom - Make Mom's big day memorable with the perfect present. 80th Birthday Gifts for Dad - Thrill Dad with a fantastic present. How to Order Birthday Greetings from the White House - Request a birthday card from President Trump. 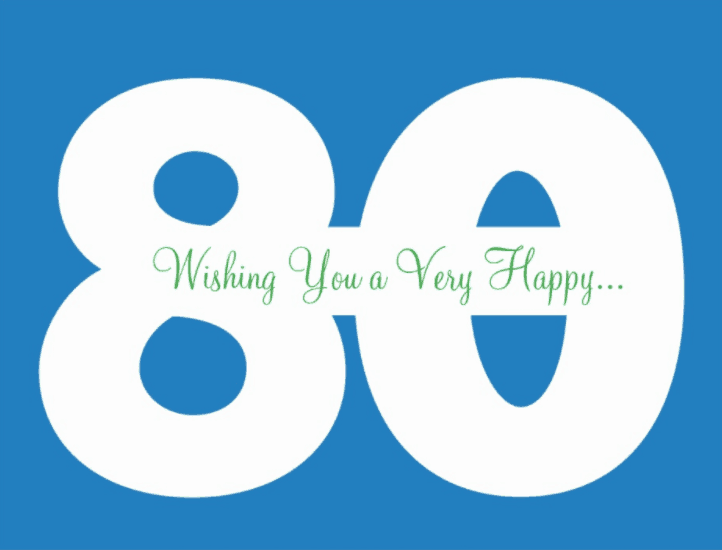 80th Birthday Wishes - Fun quotes and messages for a birthday card.